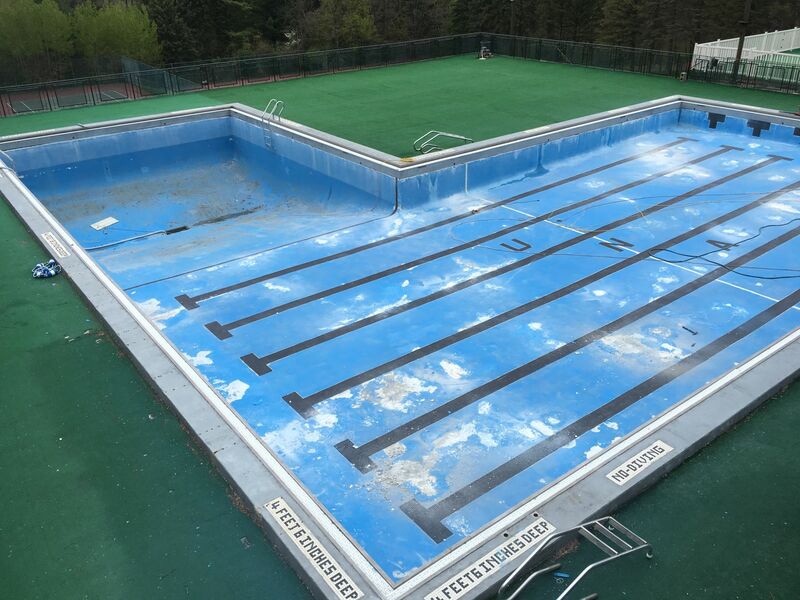 This Olympic size swimming pool required repairs to the gutter system that had multiple leaks. 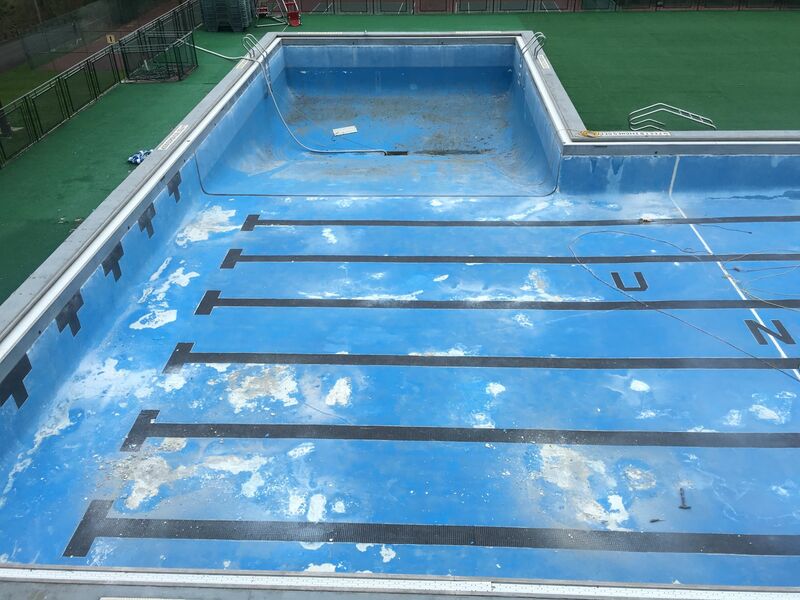 The marmite finish was cracked stained and popping off the surface. 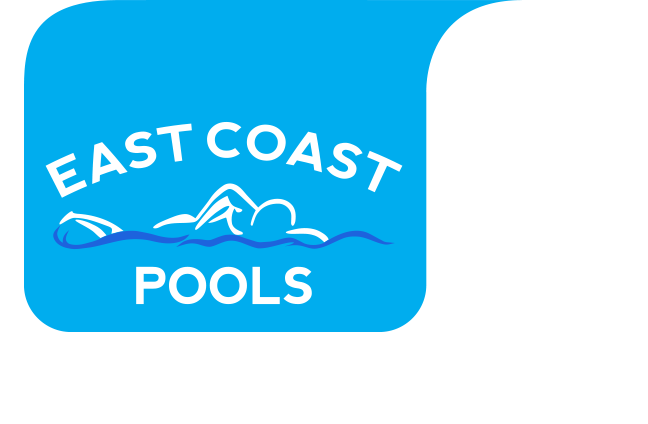 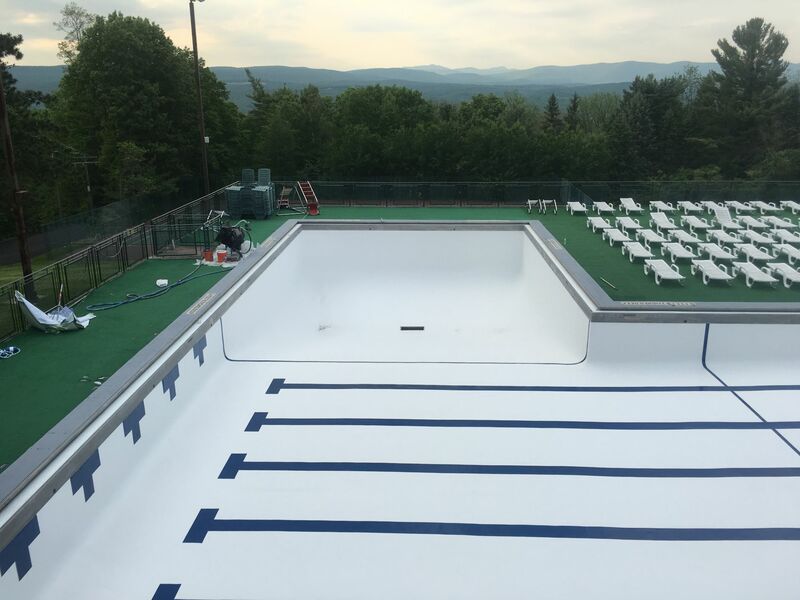 After all the pool repairs where completed we resurfaced the entire swimming pool with our fiberglass liner system and applied our gelcoat finish. 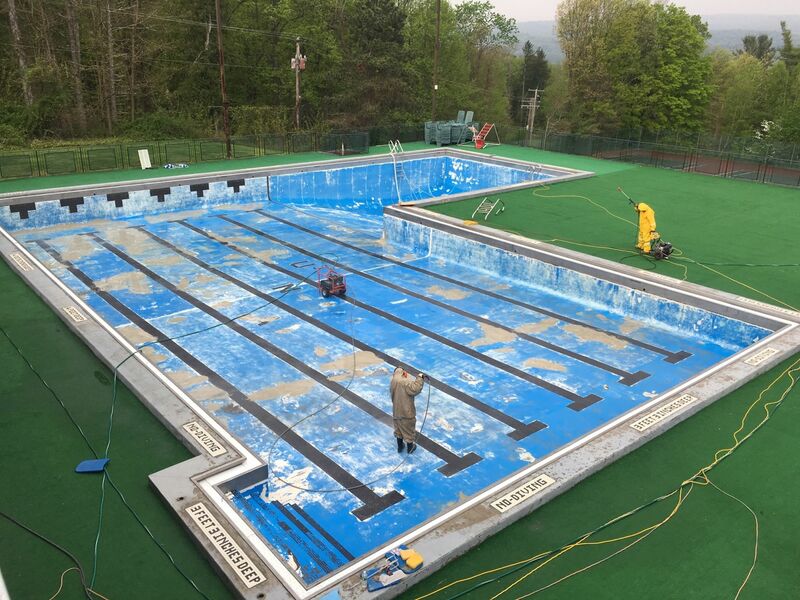 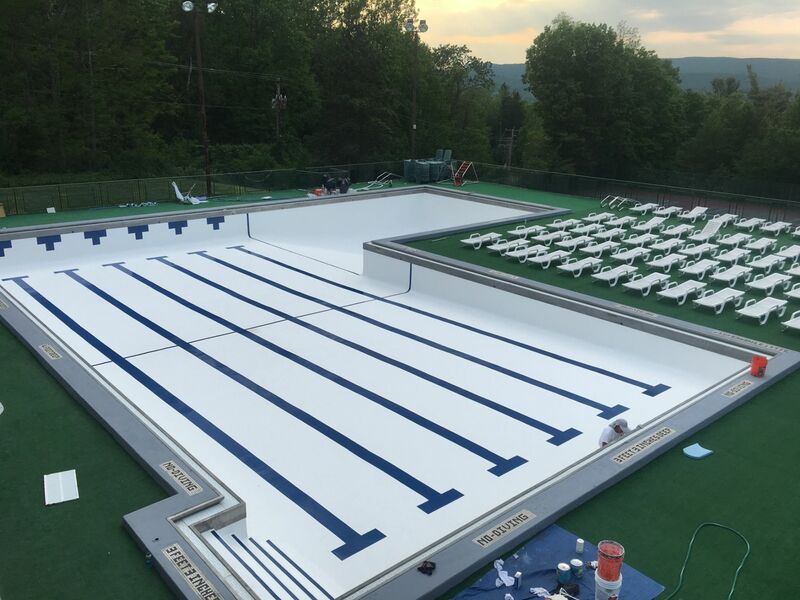 The next step was to install the swim lane and targets.